Taylor was the incumbent on the account. IRVINE, CA: Taco Bell has appointed Edelman to handle communications, following a competitive review. "As part of our plans to grow in both the US and internationally, we conducted a comprehensive search for a communications agency partner," said Amy Kavanaugh, chief public affairs officer at Taco Bell, in an emailed statement. After a bid process, the Yum Brands company decided "to consolidate all of our communications and engagement work within DJE Holdings, which includes Zeno, Edelman, Edelman Berland, and United Entertainment Group," Kavanaugh added. An Edelman spokesperson said the agency’s DC office will handle corporate reputation and influencer engagement work, while Zeno Group will manage consumer PR. Market research arm Edelman Berland will oversee research for the brand, and entertainment marketing firm United Entertainment Group will lead on content partnerships. Taco Bell worked with Taylor since 2010. "We are extremely pleased with and proud of the work that Taylor has done to help us bring [the brand’s slogan] Live Mas to life," said Kavanaugh. "We enjoyed a very productive and mutually-beneficial relationship with Taco Bell for five years," said Taylor CEO and managing partner Tony Signore in a statement. "Our approach and commitment, combined with the professionalism and innovative spirit of Brian Niccol, Amy Kavanaugh, and Rob Poetsch, have resulted in award-winning consumer campaigns of which we are all very proud." 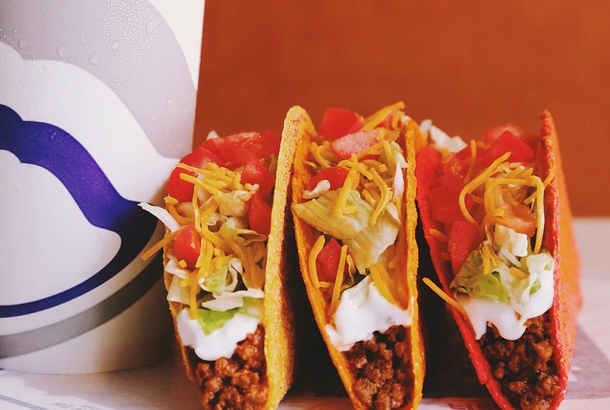 Taco Bell’s worldwide system sales grew 9% during the fourth quarter of 2014 and 4% for the full year, compared with 2013. Its US same-store sales rose 7% in Q4 and 3% in 2014, year-over-year. Taco Bell also opened 236 new locations in 2014. The brand attributed growth in the US to its breakfast menu, which launched last year. Earlier this month, Taco Bell began testing a new food item, Cap’n Crunch doughnut holes, in 26 California locations. This story was updated to correct that Zeno Group is not a subsidiary of Edelman. It is a subsidiary of DJE Holdings.